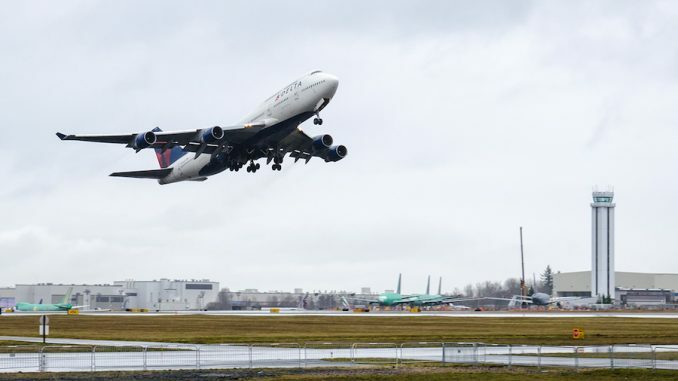 Delta Air Lines marked the start of their Boeing 747-400 farewell tour with a special stop at the home of Boeing, Paine Field in Everett, Wash. One of the last passenger 747 flights in the U.S. marked the return to the location where the 747 first started its life. 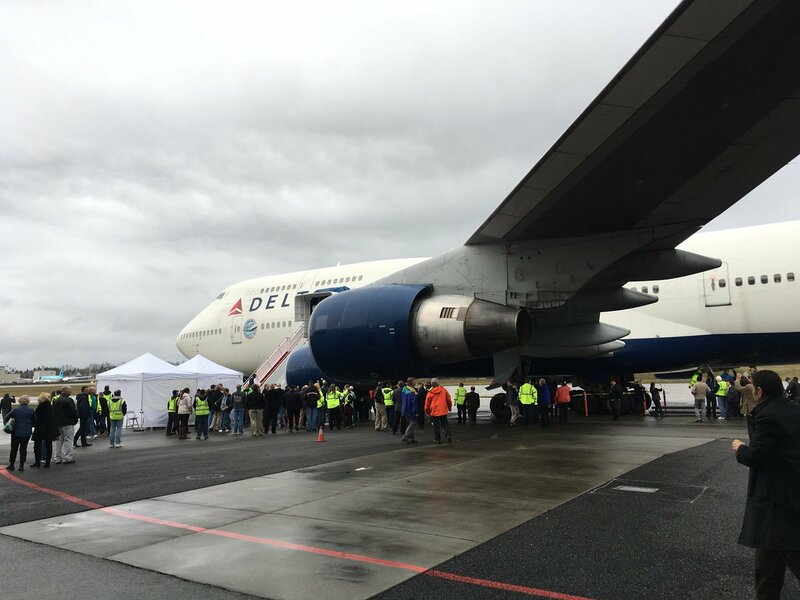 As a part of a special stop on the farewell tour, Delta flew employees and select SkyMiles members from Detroit to Everett. 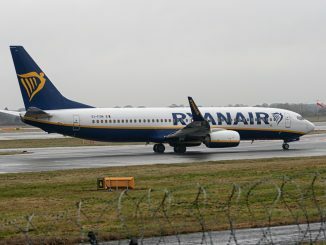 Those on board were greeted on the ground by Boeing team members, many of whom worked on the 747 in some capacity. Employees of Boeing and those that were a part of the flight were brought into the Future of Flight exhibit at Paine Field for a few quick refreshments and for speeches by Delta and Boeing employees. 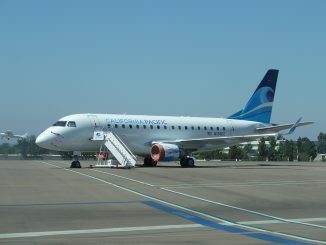 Following the speeches, attendees were allowed outside to say their final goodbyes to the airplane that meant so much to many. 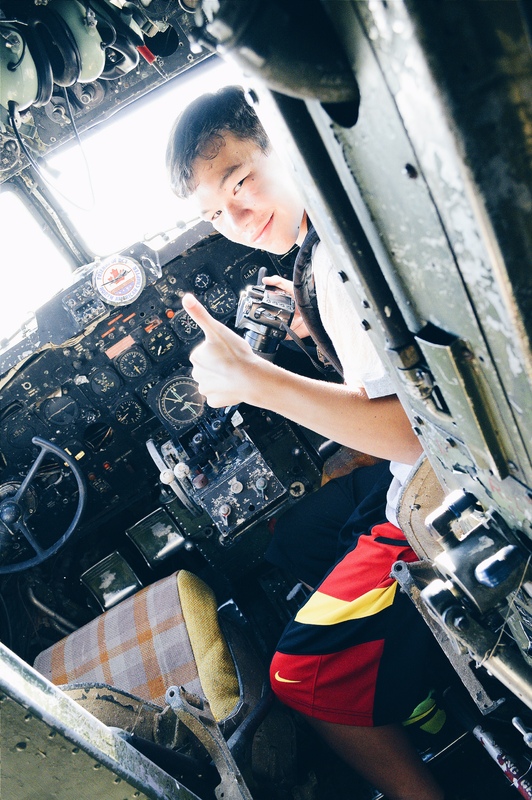 While some simply took photos, others signed the plane with permanent marker, and a few went to such lengths as kissing the aircraft for one final time. 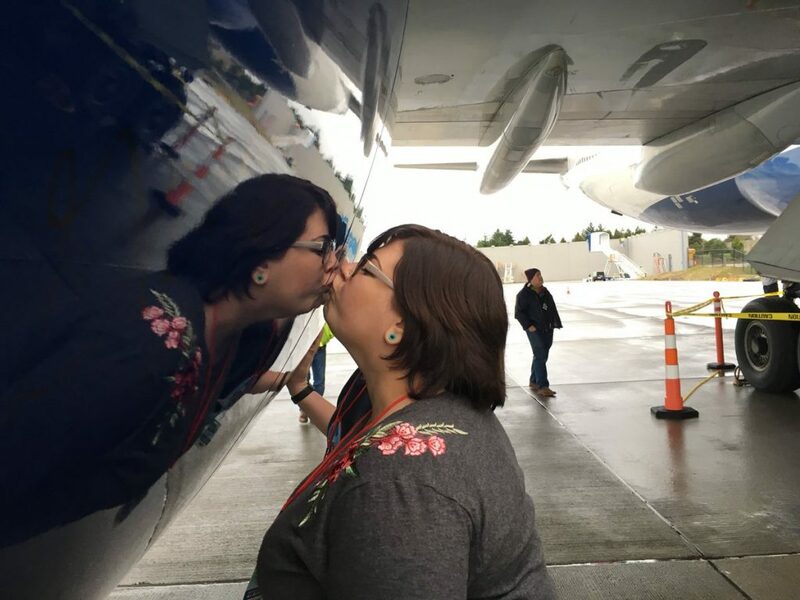 After the stop at Paine Field, the aircraft continued to Seattle-Tacoma International Airport where employees were treated to an evening of farewell celebrations at the airline’s hangar. 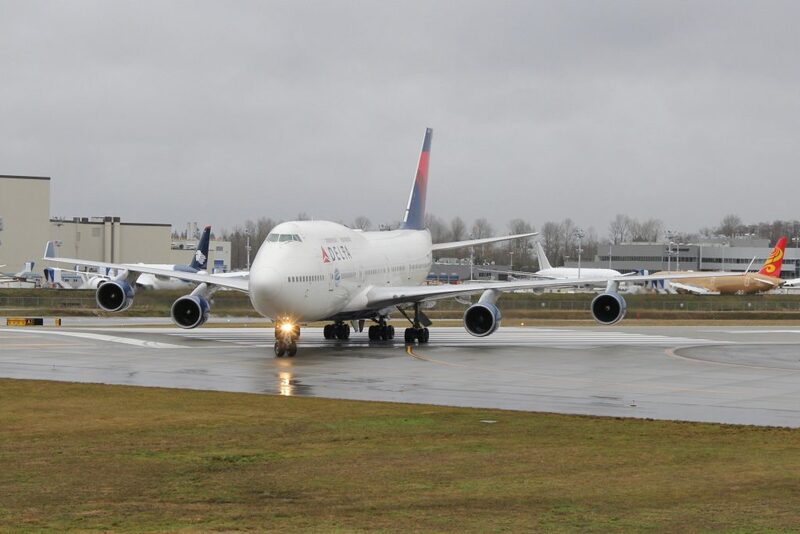 The Queen of the Skies will continue to Atlanta on Dec. 19 and make a final stop in Minneapolis-St. Paul on Dec. 20. 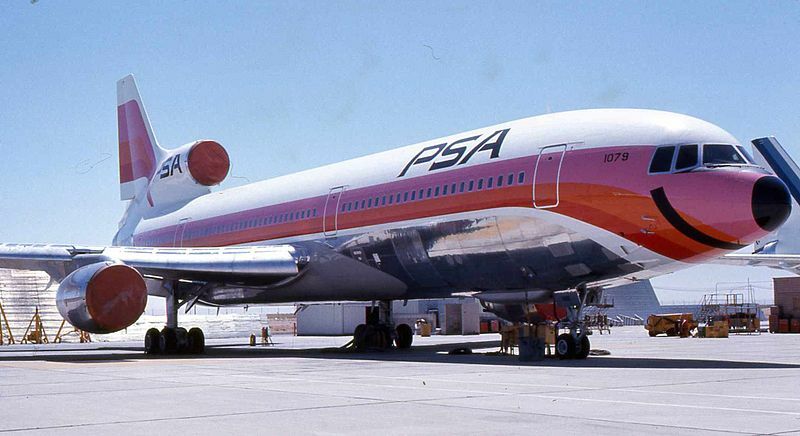 Delta took delivery of their first 747-100 on Oct. 7, 1970, flying it on daily flights from Los Angeles to Dallas and Dallas to Atlanta. 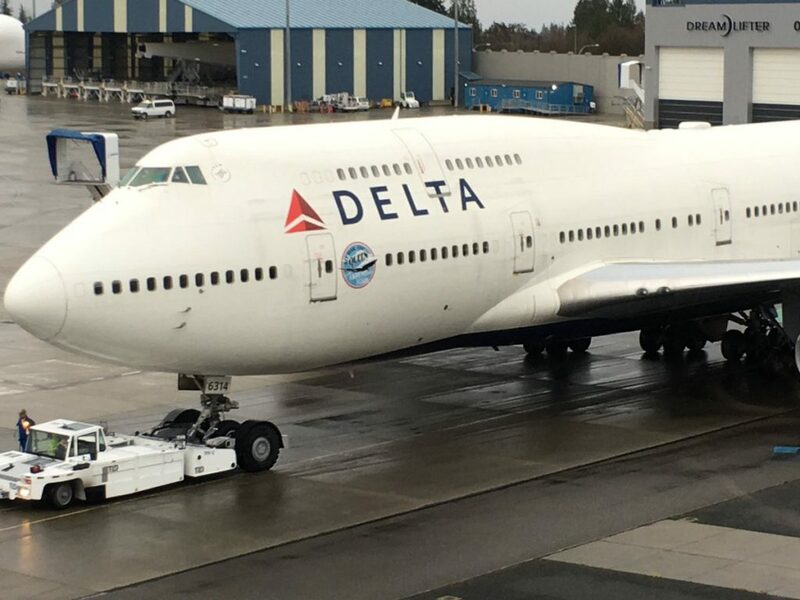 After a shortened history with the airplane’s early variants, thanks to the Northwest merger, Delta obtained Ship 6301 (N661US), the first 747-400 ever produced, among others. 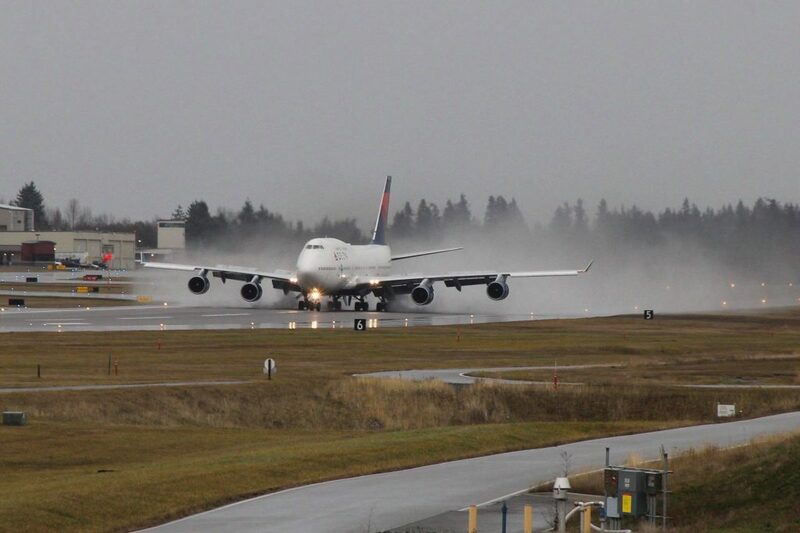 Delta’s fleet of 747-400 aircraft come from the Northwest era with N674US (ship 6314), the airplane operating the farewell tour’s initial legs, being delivered from Paine Field 18 years ago in October of 1999. 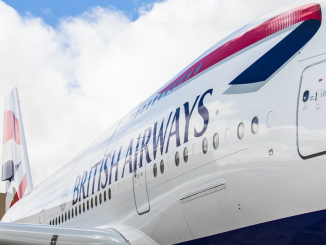 The airline expects to retire its remaining 747s in January.